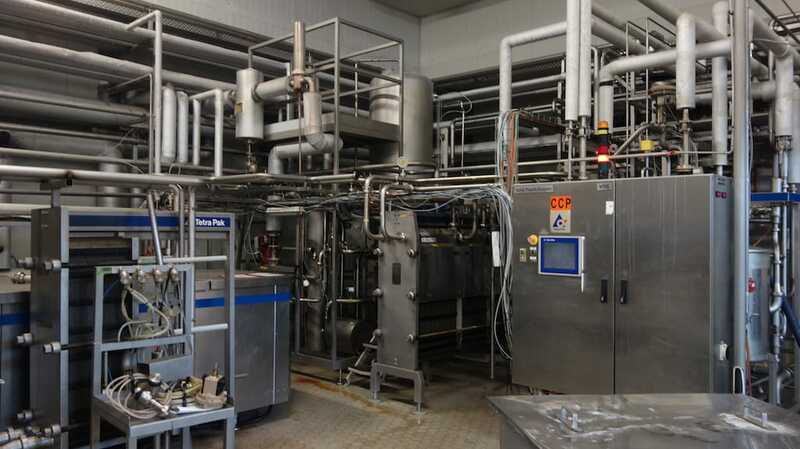 Last week (Wednesday to Thursday) we traveled to a major austrian dairy. The reason for this trip was a customer who inquired for a UHT plant that he plans to use for a considerable dairy project in Asia. So we showed our customer two UHT plants in an outstanding condition. On the picture you can see Vitali together with our customer and the plant manager, inspecting the homogenizer machine which belongs to the GEA Finnah UHT plant. According to our customer both plants made a very good impression and are definitely recommendable. You can get yourself an impression by watching videos of those plants on our YouTube Channel. After inspecting the UHT plants we learned that our customer is also looking for storage tanks. Coincidentally at the same site, there were tanks available which were of interest to our customer concerning their technical specifications. Hence we took a look at them too. Besides establishing business relations it is always interesting to get to know new people and learn something about their story. The people/business partners you meet are the key factor that make every trip unique and interesting.